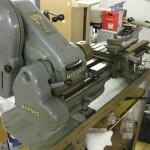 Nottingham Hackspace has an ever-increasing collection of tools that are available for all members to use. 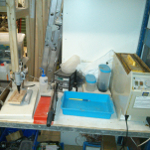 This includes the basics, such as screwdrivers, paint brushes, glue guns, and soldering irons, as well as bigger items that you may not have the space or finances for, such as mills, lathes, saws and the laser cutter. Our latest major acquisition, the Bridgeport milling machine is a large multiaxis turret-type mill that will give us precision milling. It is currently being cleaned and repaired. 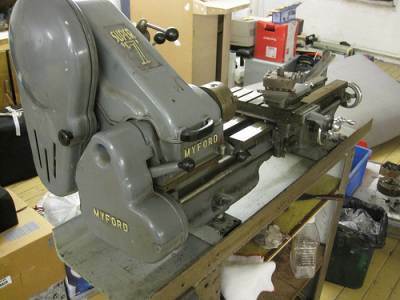 The Myford Super 7 lathe is a metal machining lathe built in 1973. 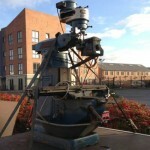 Built to last, we purchased the lathe through a members’ pledge drive, giving us a top machine available to everyone. After a one-on-one induction session, there are numerous cutting, drilling and milling bits for you to work with. 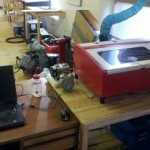 Using the awesome power of lasers to cut sheet materials such as plywood, acrylic, perspex, card and rubber, the laser cutter is a long-term loan from a Hackspace member. The laser cutter can be used to create a wide range of projects, including phone cases, catapults, e-reader covers and rubber stamps. 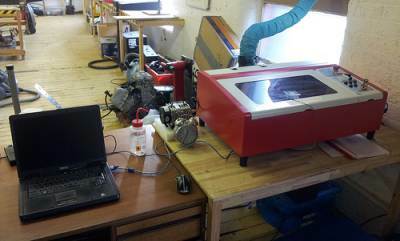 After a one-on-one induction session, you can use the laser cutter for £1 for every 10 minutes. 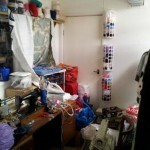 We have a textiles and craft storage room with a large quantity of yarn, cloth, beads, paper, pens and other craft supplies. 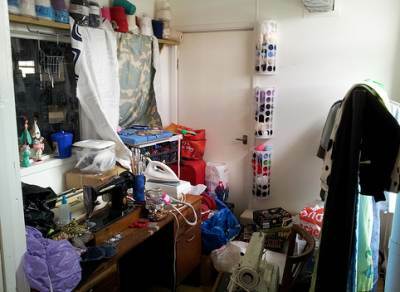 We also have home sewing machines, knitting machines, a dressmaker’s dummy, a large cutting table, a drafting table, an industrial sewing machine and an industrial overlocker. 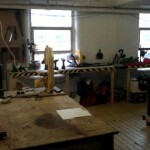 Our hackspace used to be a carpenter’s workshop, and we have a large section for woodworking. 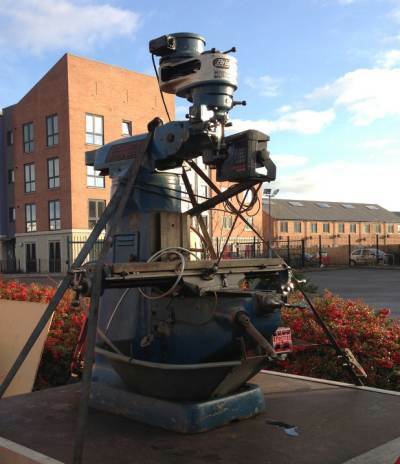 Along with hand tools such as hammers, planes and saws, we have a wide range of power hand tools, benchtop pillar drill, floorstanding radial arm pillar drill, a bandsaw, table saw, sander and wood lathe. We also have plenty of scrap wood to experiment with before starting larger projects. 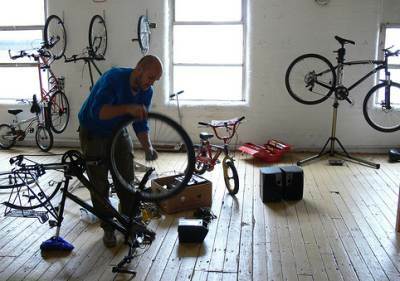 If you’re fond of pedal power, we have a large range of good quality tools and repair equipment for bicycle maintenance. We also have bike parking for members – great for anyone who works in town and needs good bike parking. Part of the electronics area is setup for making your own circuit boards using the photo-etch method. We’ve got a UV exposure box, PCB guillotine, a proper professional bubble etch tank, PCB drill and all the chemicals you’ll need to make your own boards. All you need is the design! There are PCB making workshops now and then to show you the ropes, and knowledgeable people to ask about the use of the equipment. Or just research it and dive in! You can see more details of our tools and how to use them on our wiki. 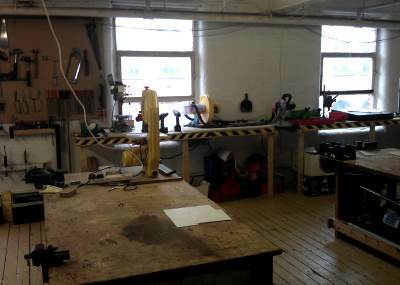 And visit the Hackspace on our Open Hack Nights to see the full range of tools and start planning your next project!